‘Tis the season to SPRING into action! 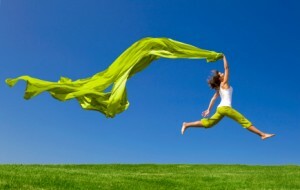 Spring is the perfect time to refresh your routine, move forward on your goals, or make a bold change in your life. Let’s talk about practical ways to “SPRING” forward into action. The idea of “SPRINGing” forward is action-packed! Swift, intense movement can be the necessary boost to kick yourself into high gear to achieve your goals. Creating a plan before taking action can be very helpful. But if you overplan and underact, you never actually SPRING into action … and nothing changes. So, by all means, do your research and planning. Then put it all aside and take action. Remember — it doesn’t matter how good your intentions are if you never act on them! It’s easy to put off pursuing your goals because of life’s many distractions or feeling stuck and overwhelmed. But it’s also possible that, if you’re not taking action on a goal despite having enough information, resources, and support, maybe it’s the wrong goal. Ask yourself: “Do I really want this?”, “What’s holding me back?”, and “Am I willing to take the necessary action to achieve this?” If not, scrap the goal and focus your valuable energy on something you truly want. Once you’ve confirmed your goals, ask yourself: “What is a next step I can take, right now, to push me towards achievement?” Action — no matter how small — creates energy and positive momentum that helps propel you towards success! Sometimes SPRINGing into action means doing something you dread. Consider implementing a strategy attributed to Mark Twain: “Eat a live frog first thing in the morning, and nothing worse will happen to you the rest of the day.” This type of action helps you SPRING over a hurdle and make subsequent actions much easier. Taking action is a skill that can be built just like a muscle; the more you use it, the easier it gets. Turn your goals from dreams into reality by SPRINGing into action today! Take small steps. Feeling overwhelmed is the number one obstacle to action. Make progress by breaking your big goals into smaller, easily attained steps. Then commit to taking at least one action each day. Release perfection. Zig Ziglar said, “You don’t have to be great to start, but you have to start to be great.” Don’t feel you need to figure out all the steps of your goal now. Start today with the first step and build slowly towards success, embracing imperfection along the way. Create accountability. Choose an accountability partner to help sustain your commitments. Starting a new career? Find a mentor. Want to increase your fitness level? Ask a friend to work out with you. Writing a novel? Join a writing group. Whatever the goal, you’ll benefit from the encouragement — and occasional prodding — of external accountability. Visualize success. When you’re feeling overwhelmed, it’s difficult to see past your current situation. Create a mental picture of success and the happiness you’ll feel when you achieve your goal. That vision can be the fire you need to keep moving forward. At Leap Forward Coaching our process will help you SPRING into action to live your most successful, joyful, and fulfilled life. This entry was posted in Archive Newsletter, Dreams For Success, Living Courageously, Planning For Success. Bookmark the permalink.